Haryana Police Constable Syllabus 2018: Haryana Staff Selection Commission (HSSC) has recently issued the police constable recruitment notification for 7,110 police constable, sub-inspector of police, and IRB Constable vacancies. 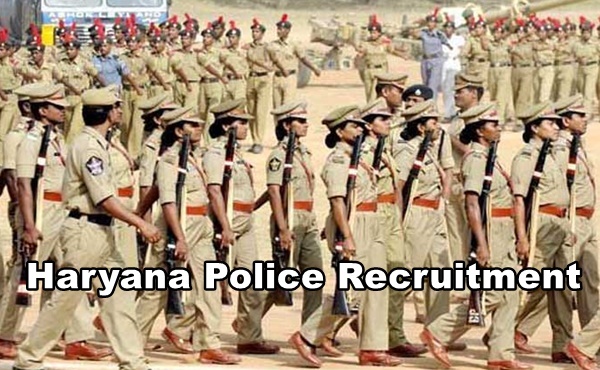 The last date to apply for Haryana Police Constable/SI posts is 25th May. As the HSSC announced a large number of posts, the competition is also going to be high for the announced posts. The aspirants applied for the HSSC Police Constable posts will be shortlisted through various rounds such as Physical Screening Test, Physical Measurement Test, Knowledge Test, and Personal Interview along with Certificate Verification rounds. Candidates applying for the HSSC Police Constable posts must aware of complete syllabus and examination pattern to clear the examination. So, the candidates applying for HSSC police constable SI posts can check the complete syllabus, exam pattern and other details from this article. The HSSC is going to conduct the constable/SI written test in the month of June/July (tentatively). Hence candidates who have applied for the Haryana Police constable posts must start their preparation to clear the examination with good score. Candidates with good merit will only be permitted to the next rounds. Candidates with good merit will be given high priority in selection process. Hence competitors must focus well. As the HSSC announced the massive number of posts this year, the competition is also going to be high. So, the aspirants can get ready to clash with the competition.